Description:Acme Marls occupied a site on the corner of Bournes Bank and Enoch Street (now Woodbank Street) in Burslem. The company made kiln furniture (refractory supports on which pottery is stacked during firing in the kiln). 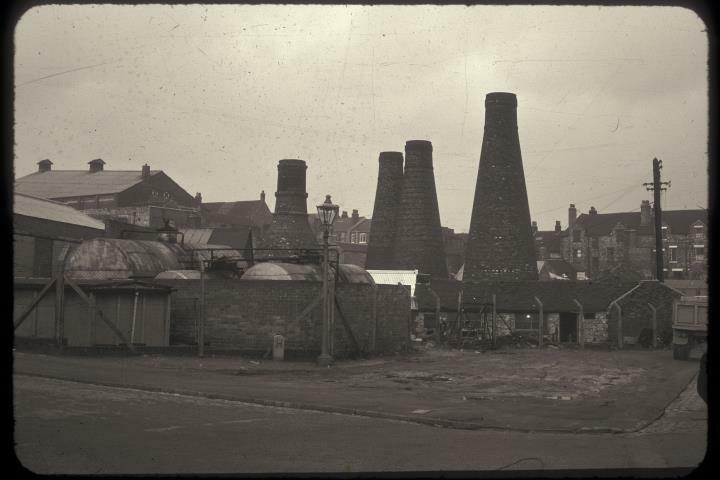 Founded in 1932 by J W A Lovatt, initially they processed the fire clay which local pottery firms used to make saggars. Later the firm made the saggars and and other kiln furniture and sold the finished article to the pottery companies. After 2000 the company concentrated its business at its site in Tunstall. The Burslem site was sold off and most of it has been cleared. 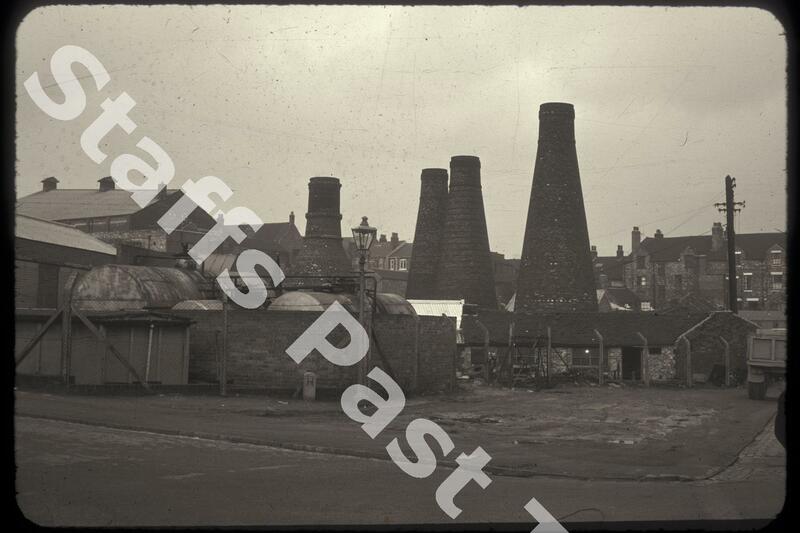 Three downdraught bottle ovens, which are listed structures, are all that remain.